Many people get confused between what composes the different levels of CPR training (A, B, C, HCP = Health Care Provider) this chart breaks down the different levels to help make the distinctions clear. 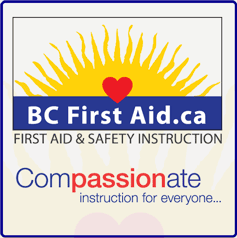 *AED training is included when regulations permit. The following lists can be used as examples of where each level of CPR may be appropriate (these are not all-inclusive). All our adult First Aid courses include some level of CPR, typically A or B. Level C and HCP can be taught instead when specifically requested. *If responder is trained to the Standard First aid or equivalent level or lower. * If responder is trained to the First Responder, Emergency Medical Responder Attendant or equivalent level or higher.